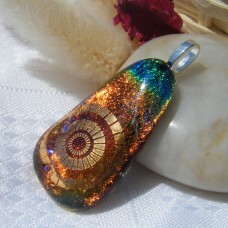 3 x 2 cm. 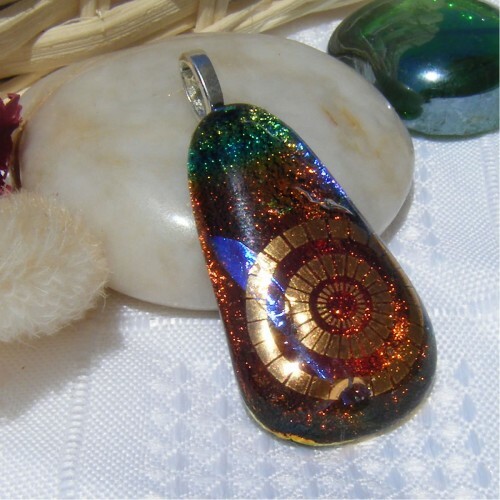 This pendant just oozes class, it sparkles and glimmers and is sure to draw attention. 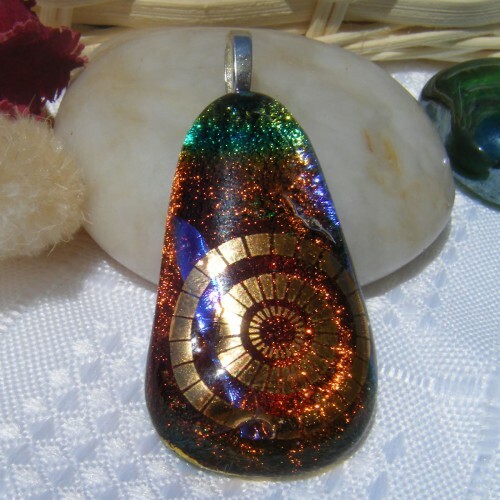 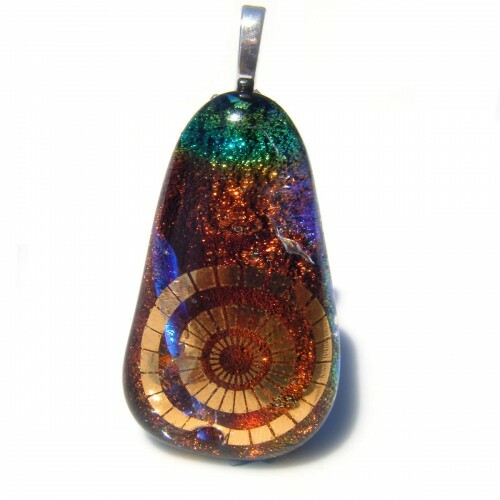 Layers and layers of dichroic pieces atop a dichroic patterned base make this unique and individual. 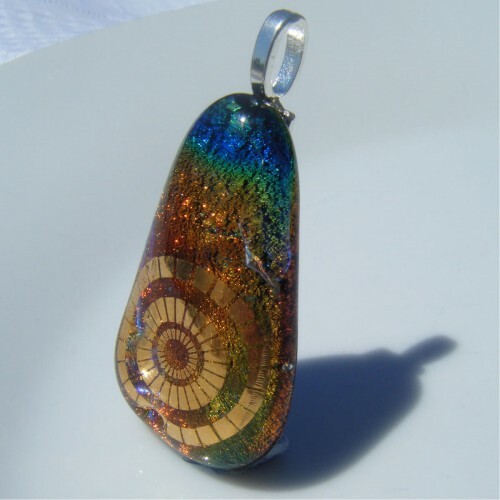 The piece is then completed with a metallic gold accent decal slopes above the glistening rainbow backdrop. 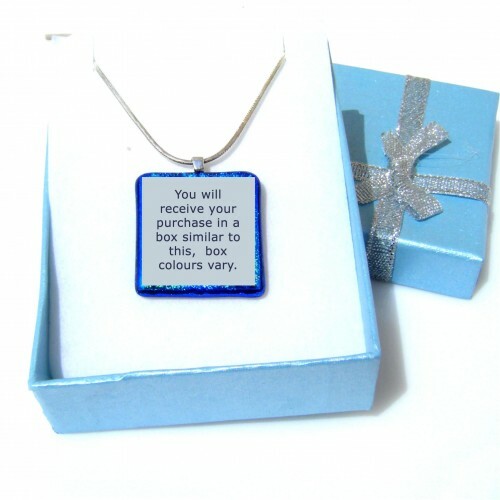 Complete with tab shaped silver plated bail and a extendable silver cord chain and Comes with pretty gift box.